You've probably read a lot about many of the nutrients that help to prevent macular degeneration. Two of the best are lutein and zeaxanthin. Many studies have suggested that these nutrients are the key to preventing and even treating most cases of macular degeneration. But what is the best combination? And what is the best dose? A new study came out just this past month that verifies how exceptionally effective these nutrients are. And better yet, it tells us the optimal way to use them to get maximum results. Researchers looked at 108 patients. All of them were over age 50. And all of them were showing signs of early macular degeneration. They gave some of them 10 mg of lutein per day. They gave another group 20 mg of lutein per day. The third group they gave 10 mg of lutein together with 10 mg of zeaxanthin. And, of course, the not-so-lucky fourth group got the placebo. The experiment went on for 48 weeks. Before the trial started, the researchers measured the macular pigment optical density [MPOD] of each patient. 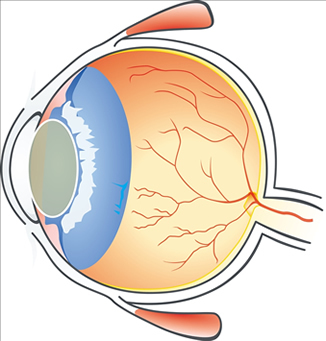 MPOD is an imaging technique that can measure the level of degeneration in the macula. As the macula sustains more and more damage, the MPOD score decreases. As it becomes more functional, the MPOD score increases. The researchers measured the MPOD again after 24 weeks of treatment, and at the end of the study. The results are extremely encouraging for anyone who has macular degeneration or who is just concerned about getting it. The MPOD increased consistently in all three of the groups getting the nutrients. The placebo group saw no change at all. And here's the surprising thing. The lutein plus zeaxanthin group did no better than the lutein only group. Also, the patients that responded the best were the ones who received the highest dose of lutein - 20 mg. In fact, the higher the blood levels of lutein were, the better each patient did. I have a few thoughts about this study. First, the macular pigment macular degeneration destroys is composed of lutein and zeaxanthin. So it shouldn't be too shocking that adding these nutrients in higher doses than you can get from your diet should have a rejuvenating effect on the macula. What is interesting is that taking the extra zeaxanthin did not make any difference. The positive effect was 100% due to lutein. Hint: It's probably NOT due to poor diet, iron-poor blood, or a sluggish thyroid. Second, everybody is different. Some people are just going to be able to utilize the lutein and zeaxanthin in their diets better than others. For them a good diet is all they need to prevent macular degeneration. The fact that the results in the study were directly related to the dose of lutein points to the cause of the disease. The reason some people get macular degeneration and some don't is probably simply because those who are most prone to it are unable to get enough for their particular genetic needs from diet alone. For them taking a lutein supplement is the only realistic choice. Third, the higher the lutein blood levels were, the better the results. So if you're taking lutein in the 10-20 mg per day dose and your ophthalmologist tells you that your condition is still progressing, go to a higher dose. There are probably some people out there who will need 20-50 mg per day to stop the disease. The increases in MPOD were seen as early as the 24th week. So when you are taking lutein, you should expect your ophthalmologist to see some changes by then. If he doesn't, it probably means that you just need a higher dose. And last, there were no side effects. Unlike the drugs that my friends at Big Pharma dish out, lutein is harmless. If you have macular degeneration or just want to avoid it, a good place to start is with Advanced Vision Formula. Taking two tablets daily will give you 15 mg of lutein. This formula combines the lutein with other nutrients that are good for you and may even improve on what lutein can do by itself. Huang YM, Yan SF, Ma L, et al. Serum and macular responses to multiple xanthophyll supplements in patients with early age-related macular degeneration. Nutrition. 2013 Feb;29(2):387-92.